BAPC members will have selected prints available for sale at Collaborate Studio & Art Gallery. Located in City Center Oakland, at 13th and Broadway, steps from the 12th Street BART Station. 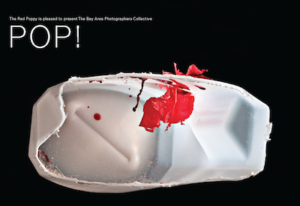 A photography exhibit featuring work by members of the Bay Area Photographers Collective at Collaborate Studio & Art Gallery in Oakland. The show will run from December 2, 2011 – January 25, 2012. 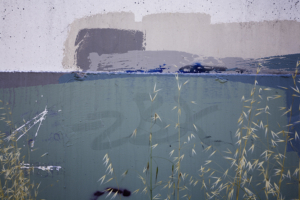 Curated by Susan Rippberger and Nicole Hills, both of Collaborate. San Francisco Open Studios, an event coordinated by ArtSpan, is a month-long art event in October that showcases over 900 emerging and established San Francisco artists in their studios. Several BAPC members are participating by opening their studios or collaborating with groups of other artists in concentrated spaces like Fort Mason. Check out the schedule and some great photography. Most artists are doing basically the same thing – staying off the streets. This show, inspired in part by the book and online project Street Photography Now, is an exploration of this topic by six members of our collective. The photographers use a broad spectrum of photographic technology—from silver gelatin to digital cameraphones—to candidly portray life in public places. Their vision elevates the ordinary into realms of beauty and myth. Hours: Thursday through Saturday, 12p.m. to 6 p.m.
Robert Hartman will give a lecture and show slides and prints of his photographic work with a question & answer session to follow. Exotic colors, abstract art, and abstract geometry are some of the terms used to describe the unique aerial photographs captured with color infrared film by Robert Hartman. BAPC members will exhibit in the Skylight Gallery at Arc Studios and Gallery. A number of BAPC members will be participating in the PHOTO Holiday Salon. PHOTO is a new gallery in Oakland at 473 25th Street, Oakland (map) between Broadway and Telegraph. Soft Opening: Oakland Art Murmur December 3 (6-9pm). Hours: Thurs/Fri/Sat Noon to 6pm.